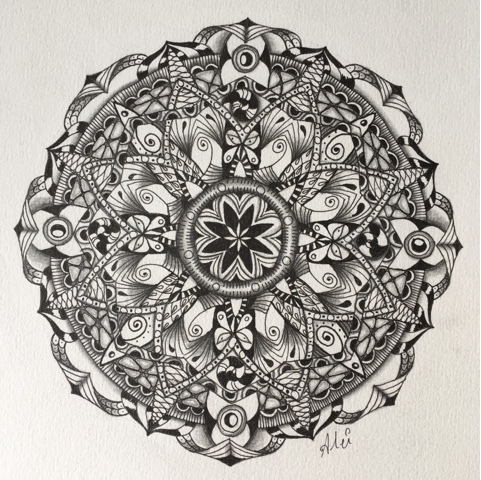 I already follow the zentangle group Ornation Creation of Ben Kwok for a while (Facebook Ornation Creation). 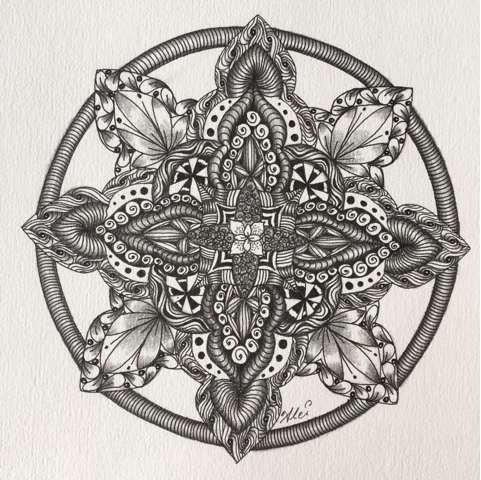 He publishes each week an amazing template you can use for your zentangle work. I already made some animals using his templates, you can find them earlier on my blog. 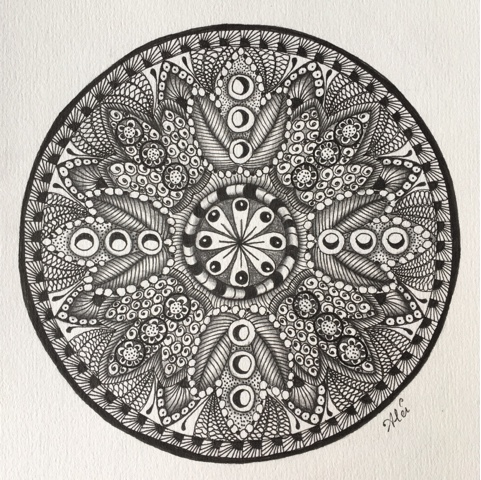 Now I decided to use some mandala templates. Oh that was quite a challenge ! But I like the results very much. I hope you enjoy them too.